I will tell you right now that this was not a success. Looking through my facsimile of the original Joy of Cooking, I found an amusing subhead in the soup chapter. “Quickly made,” and “neither thick nor thin” are both true. “Delicious,” and “delicately flavored” are both false. I know that means “soup for when you need something fast,” but I kept chuckling trying to imagine soup emergencies. Problems that can only be solved with soup. Disasters averted because of soup. Soups to put out fires. Soups for distracting evil-doers so you can make your escape. 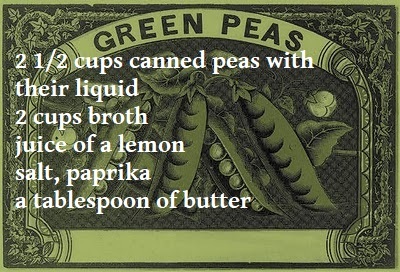 I decided to try the emergency pea soup recipe because it sounded like the most 1930s thing ever. My expectations weren’t high, but this is the classic book that taught generations of people to cook at home, so I figured it might know something I don’t. I knew everything I needed to know, folks. It is very fast to make and very cheap. 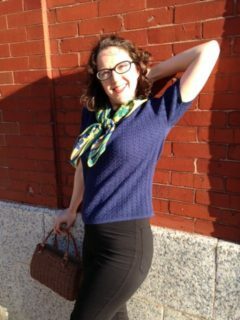 If I were a housewife in the Great Depression, I might feel more enthusiastic about it. Also, peas have a significant amount of protein, not to be overlooked. But would take a Great Depression to make me eat this soup. This is not entirely the soup’s fault. It relies on canned peas, and I really hate them. Note: I love peas. Frozen peas, fresh peas, you name it. It’s the canning that kills them for me. So it would be surprising if I liked a soup comprised almost entirely of something I don’t like. 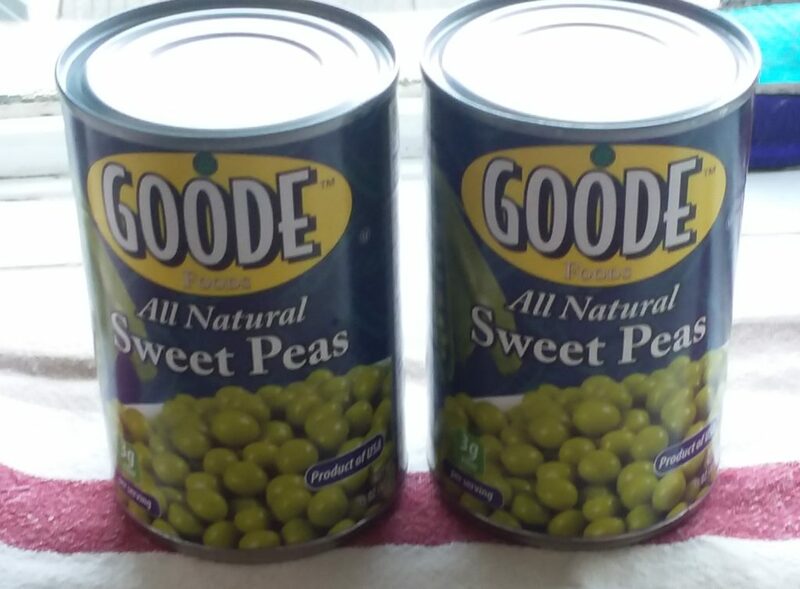 My husband likes canned peas, and he thought it was fine. I, on the other hand, was sort of angry that I made it. On the plus side, these cans look very mid-century. Here’s the recipe, in case you think you’d like it. Or in case of emergency. Peas, broth, lemon, salt, paprika, butter…that’s it! Add the lemon and seasonings. Serve or throw away in disgust, to your own taste.